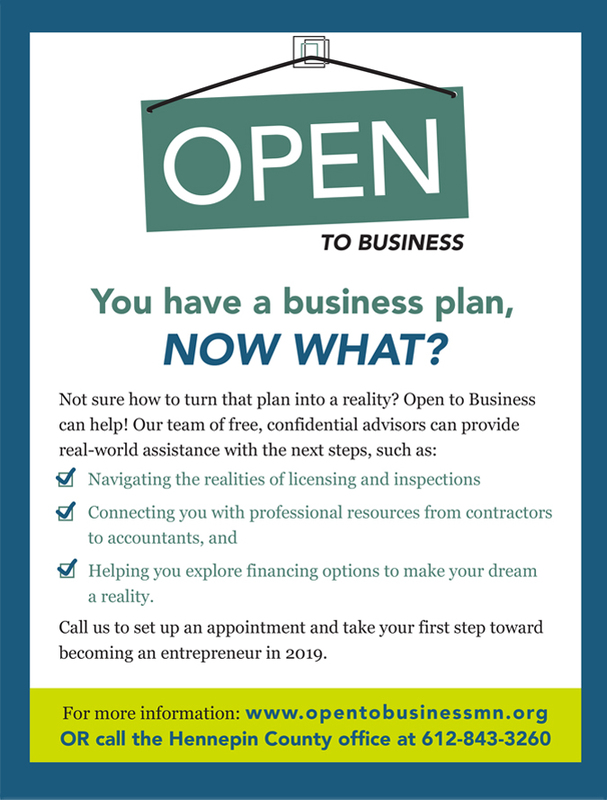 Are you thinking about starting your own business or are you currently operating a small business and interested in FREE technical assistance? Medina has partnered with the Metropolitan Consortium of Community Developers (MCCD) to offer the Open to Business program. This program provides FREE one-on-one assistance from MCCD’s expert staff, customized to meet the specific needs of each entrepreneur. This can include creating a business plan, suggestions on financial management and bookkeeping practices, assisting with marketing, and referrals for financing. MCCD also administers a small business loan fund which provides capital to expand local businesses. 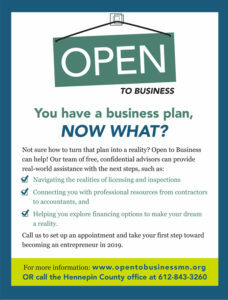 For more information please visit www.opentobusinessmn.org or contact Rob Smolund from MCCD at rsmolund@mccdmn.org or (612) 789-7337 ext. 260.